Settle in for a relaxing three hours learning to embroider on the nsw south coast. 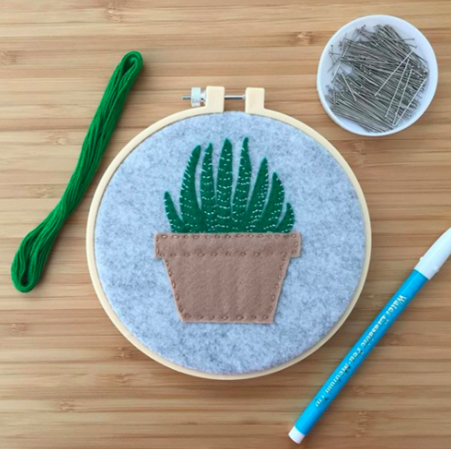 technique focused classes will take you from never having stitched to stitching with confidence. Beginner embroidery kits are available for purchase after classes. Beginner Embroidery I: We'll discuss fabrics for embroidery, how to correctly put your sampler in an embroidery hoop and how to neatly finish your sample. You'll learn a number of stitches including straight stitch, back stitch, chain stitch and French knots. Appliqué Style Embroidery Hoop: In this class you will learn to turn simplified drawings of characters or everyday objects into sweet, layered appliqué style embroidery hoops to hang as wall decorations. You'll learn to transfer your pattern to felt and cut it out, how to position and hold your work in place and how to close in your hoop neatly. In this class you'll learn straight stitch and blanket stitch. Each class runs for three hours and will cover a range of crochet techniques and skills. In Crochet I a crochet hook and wool will be provided for you to keep. In Crochet II and III you’ll be asked to bring your own materials. 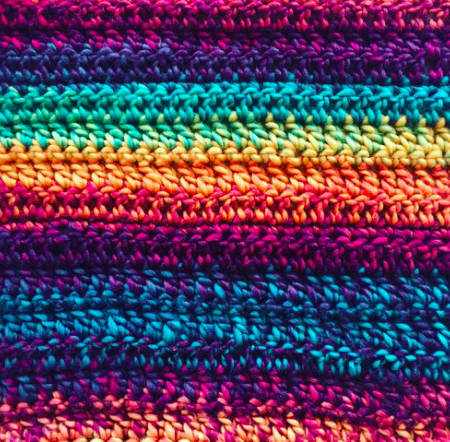 Crochet I: Introduction to crochet. Learn the stitch names and how to hold your crochet hook. You'll learn how to read a crochet pattern and how to single crochet, double crochet, half double crochet, and triple. All whilst making your own warm scarf! Crochet II: (Prerequisite Crochet I or demonstrated ability of all Crochet I techniques). Crochet II is all about Grannie Squares! You'll learn how to read a visual pattern and how to build on your skills from crochet I to make Grannie Squares, the foundation of many crochet projects! Crochet III: (Prerequisite Crochet I & II or demonstrated ability of all Crochet I & II techniques). Crochet III will introduce you to the world of crochet in the round. In this class we'll learn to read Japanese round patterns that are used when making amigurumi or crochet toys. Our project to get you working in the round will be a beanie, you'll learn to size beanies for newborns through to adults and how to increase and decrease stitches. In this 3 hour class you’ll have the chance to relax and get into the weaving zone. All materials are included and you’ll finish the class with a wall hanging to take home. loom kits are available for purchase after the class. Wall Hanging Weaving: In this class you will learn how to warp a tapestry loom and how to prepare to start and finish your weaving. We'll discuss different types of yarns and you'll learn a number of weaving techniques such as rya knots, looping, hatching and how to wrap warp and weft yarns.